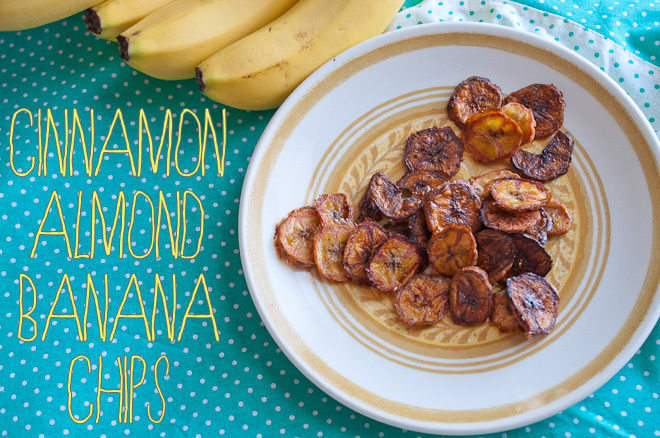 Satisfy your snack attack with this easy Homemade Banana Chips Recipe! If you've been wondering how to make banana chips, you're in for a sweet treat with this easy baked fruit snack! Combine lemon juice, cinnamon, and almond extract in a small, shallow bowl. Dip each banana slice into the mixture, then set on a greased cookie sheet. Bake for approx. 60 Minutes. Depending on the consistency of your slices, you may want to check on them periodically (perhaps every 15 minutes), starting at about 45 minutes. For thinner chips, they may be ready around this time. If your slices are thicker, you may need to wait 15-30 minutes longer.